Just discovered your blog and I just wanted to tell you that it is awesome. I can tell you are a 'real' kindergarten teacher by your dead on pronunciation of pat-ter-ens. I do the same thing with my KinderKids. Last year we got our invisible trays, sat at our assigned table and practiced good lunchroom manners. They were pretending to eat their invisible food and showing me their best manners. After a few minutes, I asked them to stand up so we could practice lining up. One little sweetie continued to "eat". I said "time to go" we are going to line up...he replied with a very puzzled look..."but I am not finished eating yet"! We do the whole walk through at our school, too. But I love how you reinforce it and the lunch box activity is too cute. Chips are a no-no at our school, but I can just cover those up when I make copies - perfect! Thanks for sharing. Can I tell you how happy that you are back!! You are such an inspiration. I started science notebooks last year after doing a book study and your blog was such a great resource. I teach 2nd grade and you would think they would know what to do in the cafeteria. However, last year I still had some that couldn't sit there and follow the rules. This is a cute idea. Thanks for the cute and helpful ideas! I am a first time Kindergarten teacher (I used to teacher third grade for two years) and I love your blog. It is helping me so much! Thanks! Love this! Lunch is always my least favorite part of the day because their behavior is so awful. We model but I really like your activities to go along with it. Thanks for sharing. Glad you are back!!! Thanks for your inspiring blog! Denise...that is such a cute story! Lisa...you can just use the MS word version and delete the picture of the chips. I wish we had a no-chip rule. Sometimes, I see kids with lunches that contain nothing but mini-donuts and hot Cheetoes. I love your lunchbox project! I am having difficulty with downloading it. 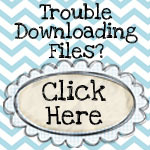 Is it possible that you could download both documents? PS--your blog is just wonderful! Thank you so much for providing an editable format! I am THRILLED that you are posting again! Your blog was one of the first I found and it is excellent! This is an awesome idea and so cute. I will use it next week. Brilliant! This is just what I needed to reteach cafeteria routines. Maybe round 2 will be more successful! Thank you so much for sharing! I have taught for 18 years and you have just TOTALLY INSPIRED me. LOVE your ideas and info. As a food service manager, I came across your blog. 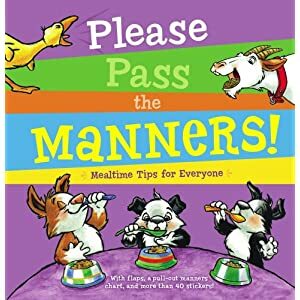 It is very good that you are sharing this with others who are at their wits end to assist their class with good manners. I'm going to share with my kindergarten/first grad teachers. Hopefully your information would be very inspiring and helpful for their classes in maintaining order in the cafeteria. Thank you!! I love this so much!!!! My son is about to start kindergarten and we had so much fun making our pretend lunchbox and going over the rules. I took it a step further and printed out an extra copy of the "choices" and taped the "Good Choices" box into the inside of his lunchbox with packing tape. THANK YOU, THANK YOU, THANK YOU!!! The blog is wonderful. My son just started going to kindergarten this year. I am interested in everything I can learn about Kindergarten teaching methodology. And I can see you are a wonderful teacher. I have a question for you. 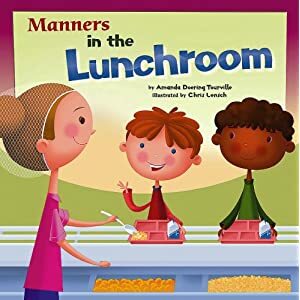 I just noticed that in my son's school his teacher is giving special privilege to kids to have lunch with her who have been good. Do you think this is the right approach? To me it feels like partial treatment. But I am no good at kindergarten ways of doing things. I would love if you can share your thoughts on this. I love the cafeteria lunch box expectations activity. I tried opening the MS document but it's not working. Can you email it to me?